A prominent ironwork on top of a traditional farm house – was weathervane. Before the weather forecast was developed, people try to read the weather by the wind and clouds, to plan their day. Since the Tour de France started, I am concerned about the weather in France – today, those tough guys had to ride against heavy rain and strong side winds. Cavendish had won his 18th stage champion – with clenched teeth! I strongly believe that in a former life I was a Medieval blacksmith somewhere in Europe! I was in Basel last weekend and found that blacksmith’s were very important to complete European townscapes, together with architects and builders. Door handles, letter boxes, balconies and shop signs hang over the entrances, were hand made and express a love for their houses. 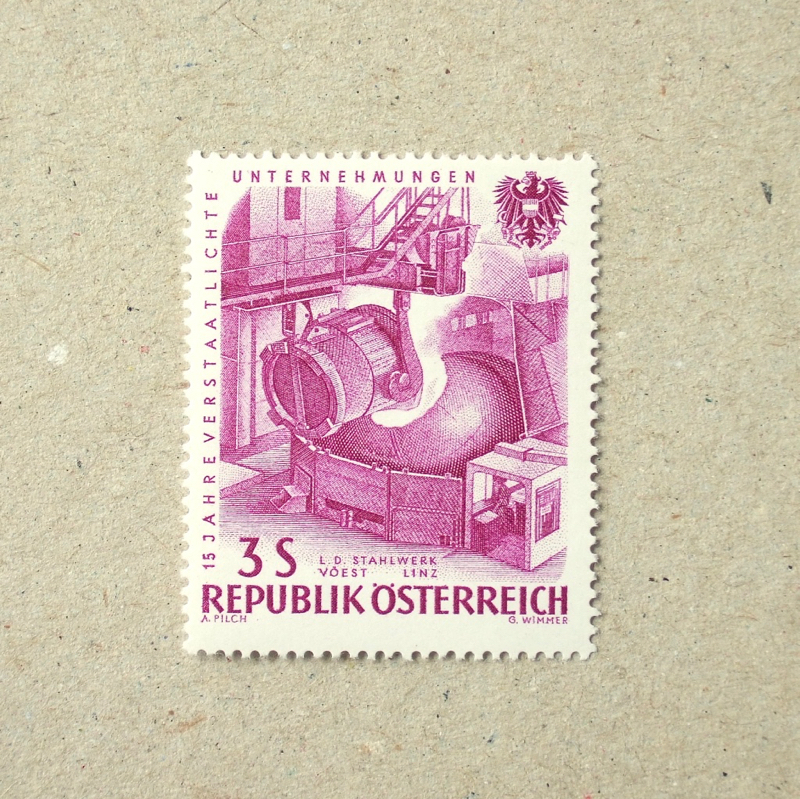 In this stamp, the owl is symbolising a succession of knowledge through generations – from fathers to their sons. Now, daughters are joining them proudly and taking the T-shaped ruler and hammer in their hands! 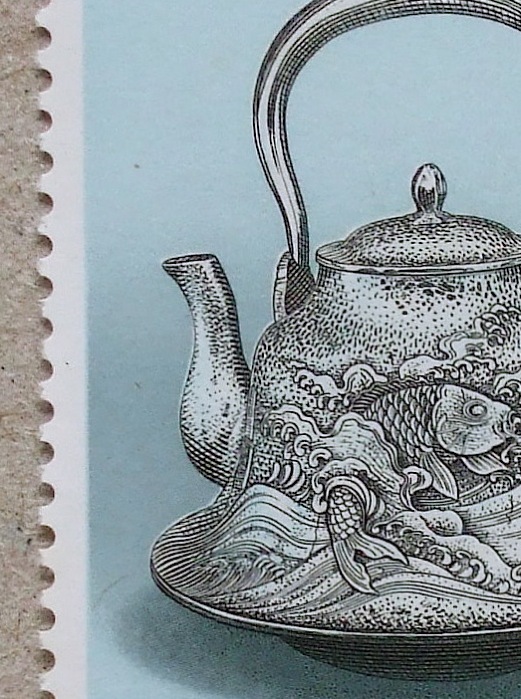 I like this idea of Definitive stamps are giving spotlight on everyday objects. Stable Lantern for example, hand made with tin. Fishins spear remainds me native Canadian’s history, which had been heavily relying upon fish. Skate blades makes me imagine how North the country is. Traditional Arts and Crafts Series. Photogravure with engraving depictis refine pattern on kettles, called Nanbu-Tekki, made in Iwate prefecture of North Eastern Japan.